Melanie’s interest in epidemiology started during her undergraduate studies at the Australian National University (2006-2010). Pursuing a research-intensive Bachelor of Philosophy in Science, Melanie worked on a range of projects across the medical sciences, but particularly enjoyed projects with a public health focus. As an exchange student at the University of Copenhagen, Melanie completed Masters-level courses in public health, which led her to an internship at the Ifakara Health Institute in Tanzania, where she observed a clinical trial of a malaria vaccine and contributed to data management and analysis of inpatient data at the local paediatric hospital. For her Honours year, she was based at the Australian National Centre for Epidemiology and Population Health, where she parameterised and implemented a weather-based prediction model for dengue fever outbreaks in far north Queensland as part of a climate change and health research program, for which she received the University Medal in 2010. In 2011, Melanie moved to London as a Sir General John Monash Scholar to study a Masters of Epidemiology at the London School of Hygiene and Tropical Medicine, graduating with Distinction. She completed specialist courses in infectious disease epidemiology and a Master’s thesis on the immuno-epidemiology of malaria in pregnancy in Papua New Guinea. After returning to Australia, Melanie worked as an Aboriginal Health epidemiologist at the NSW Ministry of Health, and as a Research Associate in perinatal health at the University of Sydney, in both roles working on projects and studies that aimed to inform, evaluate and improve health outcomes in vulnerable populations. Melanie is currently finalising a PhD through the Erasmus Mundus Trans Global Health Joint Doctorate program at the University of Amsterdam, ISGlobal Barcelona and The Institute of Tropical Medicine Antwerp (2014-18). Her doctoral research combined epidemiology and sociology to investigate fine-scale heterogeneity in the distribution of malaria infections in low transmission settings in Vietnam and Cambodia. Melanie spent extended periods living in remote regions in both countries as part of her research. Working in close collaboration with local communities, National Malaria Control programs and international research teams, her research addressed key knowledge and implementation gaps in the path towards malaria elimination in the Greater Mekong region. Melanie has teaching and training experience in Australia, Europe, South-East Asia and West Africa, and has also worked in science communication and science outreach for the Australian National University and as a consultant to the CSIRO. 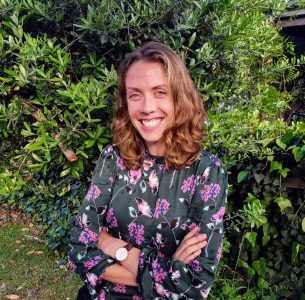 Melanie joined Ausvet as a Senior Consultant in September 2018. With her background in clinical and infectious disease epidemiology and environmental health in human populations, as well as expertise in transdisciplinary research, Melanie supports Ausvet to improve health across the full One Health spectrum. Outside of work, Melanie enjoys Belgian chocolate, Australian sunshine and trying to keep her sourdough starter alive.